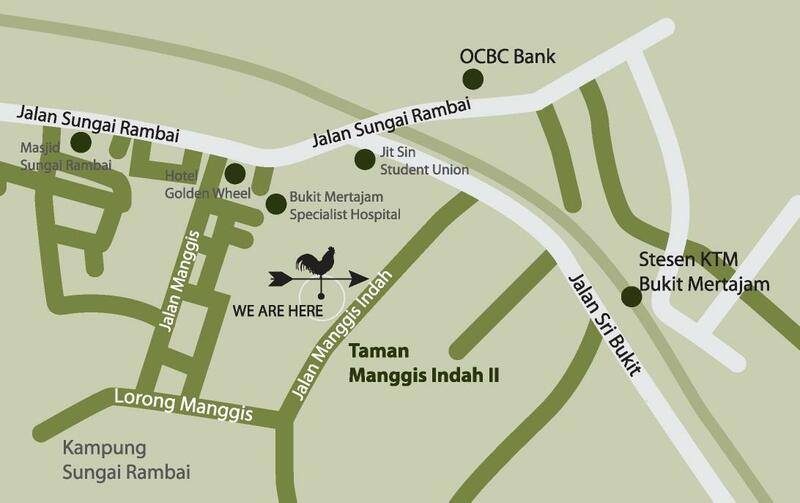 Taman Manggis Indah is a residential project located in Bukit Mertajam Penang. It is only a walking distance to the Bukit Mertajam Town area. Nearby amenities include Jusco shopping mall, shops, school, and hospital. The project consists of 2 and a half storey terrace homes with a built-up area measuring 20' x 45' and the land area is measured at 20' x 75'. The total gross built-up area is approximately 3,078 sq.ft. with a wide car porch space. how much is the price ? Looking for 1 to invest. Went to show house opening last weekend. Response is not that good. Ithink the price is too high at nearly RM380K. BM Utama completed waiting OC is only RM328K and big schem with nice landscaping and park facilities. DNP cheaper but seat on flood area. Somemore no floor skitting on bedroom or living room. The side fencing between house is only iron net compare to Manggis is all bricks wall separate between two TST. Taman Manggis material also quite good as compare to DNP. Location wise Manggis is more good cause near BM town and Bandar Perda. Another thing is the design of Manggis is better than DNP. Don't know you guys realise that the DNP design always have toilet on the 1st floor exactly just above the main entra on the groud floor. Personally I do not like this. FYI, the price for Manggis is from 370k to 514k. Type A is 370k onward and type A1 is 388k onwards. The fencing between houses is brick fencing, all completed. And there s not much renov. required. Manggis Indah is near town but the price of almost RM380k close ot 400k, I better go for a bigger semi-d in Juru Villa with extra land at abt the same price. What do you think ? And juru Villa design is modern and big scheme with better planning. 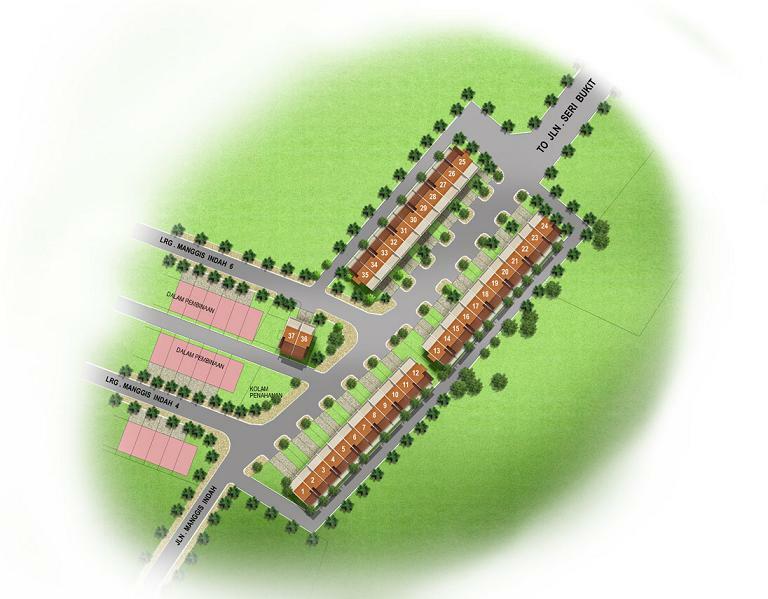 Manggis Indah is a small scheme, so don hv much to offer in terms of facilties and landscaping. Yes. Juru Villa is better choice in term of house design and their quality given by the developer and bigger land area. I was thinking to have one too. The bad part is very near to light industrial area. I have make so much survay on this project, the surrouding industrial sure have some pollution on this project. In term of location, Juru Villa is better because very near highway and auto city. They is also a concern for Juru Villa, if you have kids already you might think that what schools should I send them after they reach the school age because surrounding do not have many choice compare to Manggis Indah. I was there when this project launch. The respond of this project was good to me. I could see the place was quite clouded. As for the price range, this is difficult to compare between BM Utama and Taman Manggis Indah. This is like compare the housing price between Georgetown and Bayan Lepas, both on Penang Island but different area. When talk about property, people always refer to the location. That’s why the land cost at different area has different value. Taman Manggis Indah close to town area. So, this is no surprise to see the price of Taman Manggis Indah is more expensive than BM Utama. BTW, the Taman Manggis Indah does have a natural landscape since it is locates beside the D.O hill, the view is quite picturesque. On top of that, there is jogging track beside the Taman which link to the Bukit Kecil recreation area. This is far better than the artificial landscape. My relative plan to get a unit there. I was there last Sun. Big unit good for those with big family members. I think the price is cheap for such a huge house. I don't like the surrounding as one side by old wooden houses and the other side by older housing. I'm getting Terrace at BM Utama. Any comment? Used to be flooded area at the main road but now the road was bring up higher and it won't flood anymore. The housing area was filled with soil to bring it up higher. This is what i know...any more info? i like the proper planning where the housing area is neat.